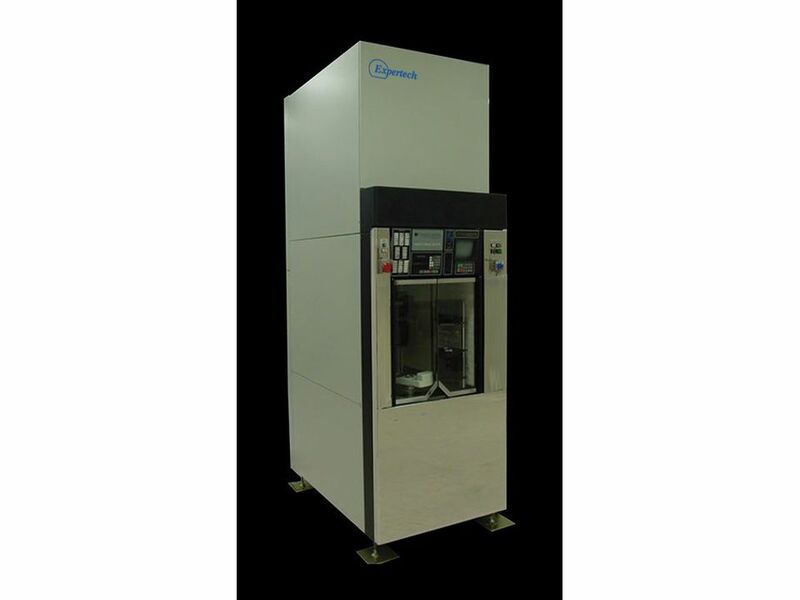 This production proven semiconductor diffusion furnace design was originated by Silicon Valley Group (SVG) and is now a product line fully owned and supported by Expertech. With over 1000 VTR systems currently in production use worldwide, it is one of the most familiar vertical furnace systems. Higher throughput per tube by using a dual boat design. One boat (wafer carrier) is in process in the tube while the other is being unloaded/reloaded. Superior particle control in films by use of an ULPA filtered Class 1 load area, and electropolished stainless steel surfaces in the class 1 clean air boat handling area. Superior within wafer and wafer-to-wafer uniformity. Wafer carriers designed so that gravity holds the wafers parallel and equally spaced. Easier and faster process tube maintenance through use of a mechanized tube removal system that lowers the tube to floor level. Fewer in film defects through use of small volume, ultraclean technology gas panel that is manufactured, tested and capped in a clean room. Particle control in LPCVD films through use of a double walled process tube that eliminates film particle formation near the load door. Easy to learn operator interface and an optional Cell Supervisor Workstation for central monitoring and recipe control for a bank of up to eight VTRs.